Originally from Canada, Mandy Chan now owns and operates popular fine wine merchant Ginsberg+Chan with her husband in Hong Kong. She talks to us about her perception of wine consumers in each market and the challenges of running a successful wine retail business. Having lived in both Canada and Hong Kong, what would you say are the key differences between consumers and their wine preferences in each market? Hong Kong wine consumers have access to an amazing assortment of great wines from all over the world. If you love wine, Hong Kong is a mecca. But you do need to dig through the variety of wine merchants and suppliers here and what they have to offer so in a sense you need to be quite an educated wine consumer. In Canada, the LBCO and the SAQ make wine buying easy for wine consumers with all its outlets and marketing, but the wine consumers there are less educated and engaged with what they are drinking. I know how most people feel when they walk into a wine shop or how they feel when they are looking at a wine list and we aim to make this as comfortable and approachable as possible in the world of fine wine. 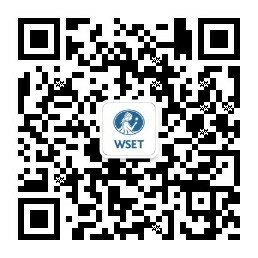 Having completed WSET Level 3 Award in Wines, how has your education helped you with running your own retail business? I will never forget the experience of going through WSET education and what it’s like to be a non-educated wine drinker versus an educated one. The structured approach of WSET will always be a backbone approach to a wine but more importantly as a wine retailer, I know how most people feel when they walk into a wine shop or how they feel when they are looking at a wine list and we aim to make this as comfortable and approachable as possible in the world of fine wine. Next year Ginsberg+Chan celebrates its 10th anniversary, what challenges have you faced during the past years and what are some milestone successes? Wow, 10 years! Technically, we started in Hong Kong in 2010 but we do sometimes say that the beginning was in 2009 which was the year that my husband Jay and I hung up our hats on our previous careers to dedicate ourselves to starting Ginsberg+Chan. We have had many challenges over the past years which mostly revolved around growing the right team and fostering that. Being a start-up also meant constantly evolving our processes. I think in Hong Kong, having those two elements in constant flux was challenging because here people are more used to their leaders telling them what to do instead of asking them what is the best thing for us to do? Three milestone successes all can be marked by our real estate: starting out in a serviced office, hanging up our sign in Happy Valley and then opening our doors to our current location in Central. Each location has allowed us to give us our team a nicer environment to work out of and we think that’s key to our business. As you may know, a lot of fine wine business is operated online. However, our current location also allows us to meet our customers more face to face through our tasting events and in the shop. And that has been really rewarding! With local consumers becoming more in sync with technology, such as shopping and delivery apps, do you have a strategy to maintain a digital presence? In my previous career, I was an application developer for IBM. It has always been about having a digital presence for us. We are constantly thinking about this and how to evolve. But I think the main thing is not to overdo things and jump on any trend too soon. It has to make sense for our current stage in growth and it has to fit our customer’s habits. What advice would you give those interested in opening their own wine retail business, especially those looking to work with their partners or friends? Have respect, define your roles, get ready for change and be kind.